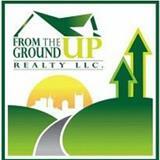 "With growth and success, comes struggles..." Brady Saunder's team at From The Ground UP Realty, LLC is getting known throughout the Southern Middle Tennessee area due to our success rate. This great news has accelerated our growth! Along with the growth came growing pains, as we placed systems and people into the new areas of growth! We have a great staff of individuals who believe in customer satisfaction through effective communication.